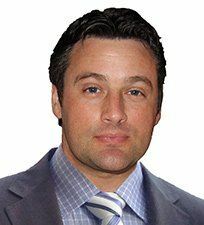 Dr. Graeme Whyte is a fellowship trained specialist in sports medicine, and has extensive training in arthroscopic procedures of the knee, hip, and shoulder, having completed fellowships at the Hospital for Special Surgery, New York, and the NYU Hospital for Joint Diseases, New York. Dr. Whyte has also trained in advanced cartilage repair techniques at the OASI Bioresearch Foundation, Milan, Italy, where he currently acts as an associate, collaborating in a number of patient outcome research endeavors related to cartilage repair techniques. Dr. Whyte provides operative and non-operative management of a wide range of knee disorders. Operative treatments include simple and complex arthroscopic and open knee surgery, treating cartilage defects, meniscal injury, ligament injury (ACL/PCL/multiligament), and bony malalignment. Dr. Whyte has experience in autologous chondrocyte implantation, meniscal transplantation, and scaffold-associated stem cell cartilage repair, and has collaborated internationally to develop new techniques in the treatment of cartilage injury. Expertise in shoulder surgery includes arthroscopic treatment of instability, rotator cuff tears, and cartilage injury. Dr. Whyte provides arthroscopic treatment to stabilize shoulders in cases of dislocation, and recurrent dislocation, and offers treatment of simple and complex rotator cuff tears, in addition to treatment of other conditions about the shoulder.